Call our 24/7 020 3404 0500 or use our online contact form here to receive a non-binding and free of charge quote for our after builders cleaning service today! In case you have your residence renovated, bear in mind to select our after builders cleaning service to help make your life a lot better! Excellent Carpet Cleaning is a reputable professional after builders cleaning company which serves a growing number of business and household clientele within Ilford IG. We have more than 10 years of practical experience, as well as the proper modern professional cleaning gear, machines and solvents to make sure that every speck of remaining dirt, waste, paint and plaster stains and various other builders grime is removed from your recently constructed or renovated property. 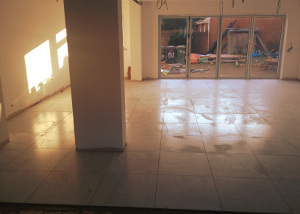 We work in compliance to all security and quality methods, and have specific pre-approved one of builders cleaning and contract construction clean-up checklists which will be are followed thoroughly by our cleaning squads in all times. Our service is insured, affordable and can help make your property liveable possibly even after serious contractors and refurbishment work has been carried out. Our reservation system is as straightforward as possible. Call 020 3404 0500 or send an online booking form here to our 24-7 customer care staff. You shortly get an e-mail and SMS confirming that the booking has been processed within the next 2 hours. No booking down payment is necessary. You can easily order one or a number of services. We are prepared to help you out during weekends and public holidays. The earlier you order our after builders cleaning service, the better the rate will be. We currently have advantageous prices for community property managers, estate agencies and for regular customers as well. Do anything you can to make sure your home is safer to live in after any restorations have been completed, by booking our pro after builders cleaning service now!